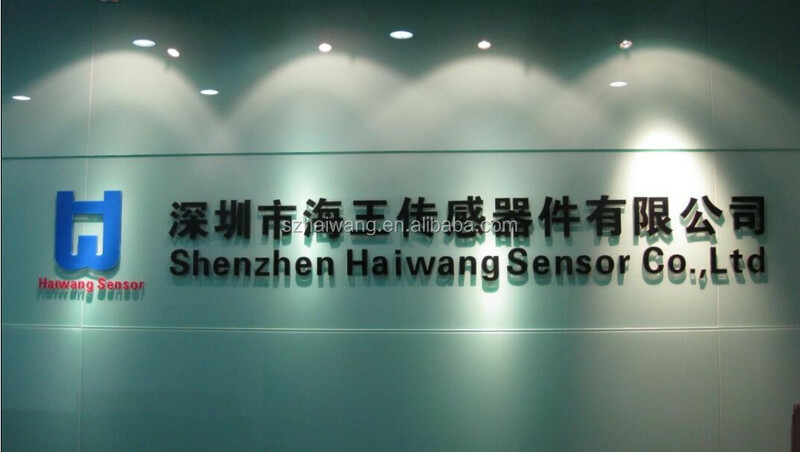 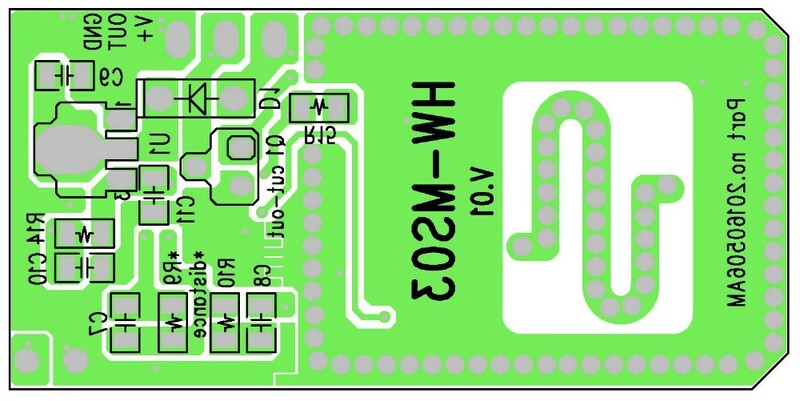 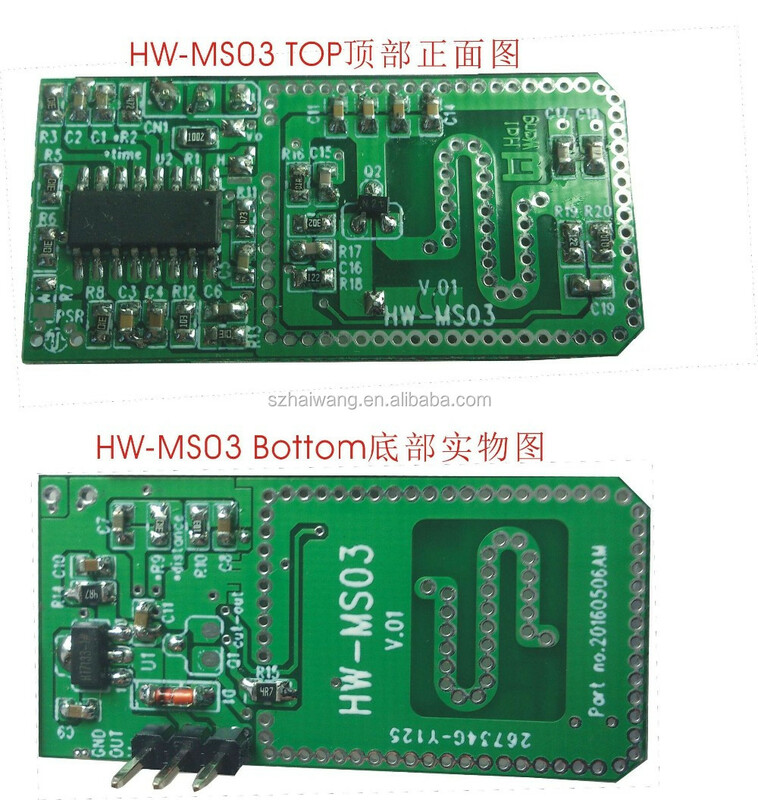 HW - MS03 is our company newly developed MS series in a single PCB microwave sensor module. 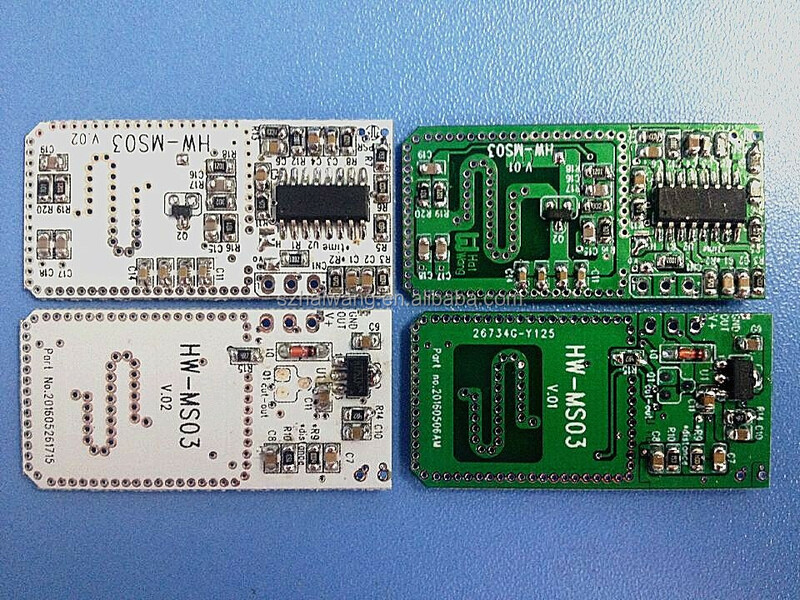 The product is particularly suited to ultra-thin design of intelligent household appliances, security products, lighting products and other electronics. 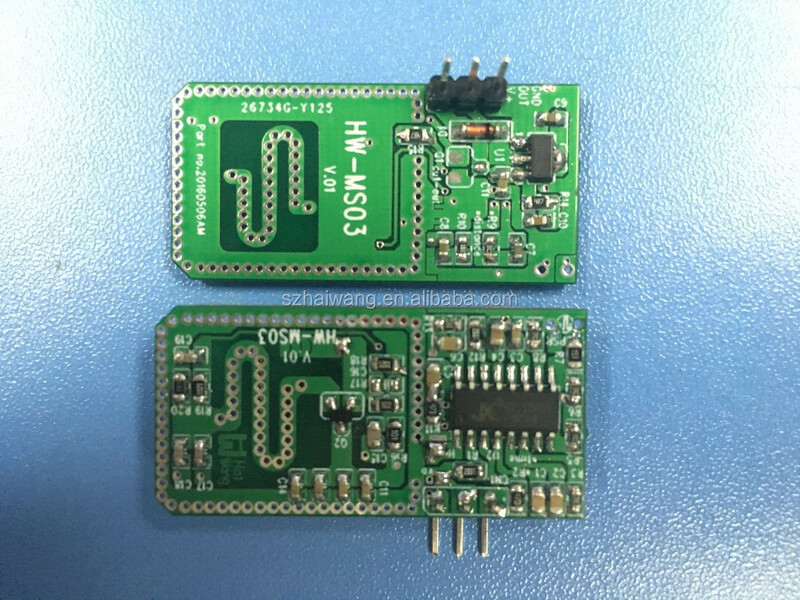 This unique circuit structure design, function expansion, the strength of the strong compatibility and high cost performance advantages, is the leading the market advantage of the single panel module. 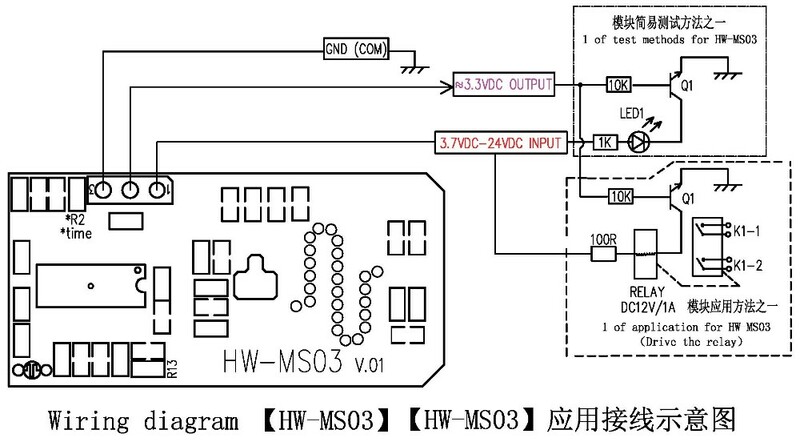 06 Delay-time for output Default:2sec.